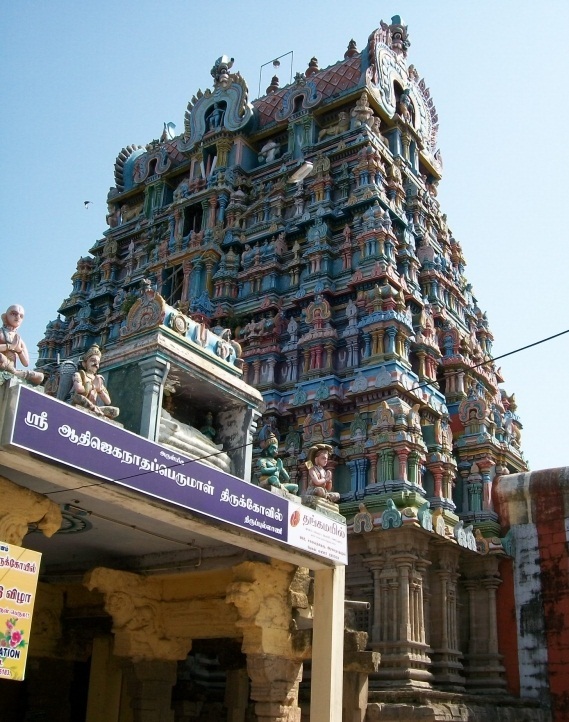 Divya Desams refer to the 108 Vishnu temples that are mentioned in the works of the Tamil Azhvars (saints). Divya in the Tamil language indicates "premium" and Desam indicates "place" (temple). Of the 108 temples, 105 are located in India, one in Nepal and two outside of the Earthly realms. Most of the Divya Desams in Tamil Nadu follow the Thenkalai tradition. 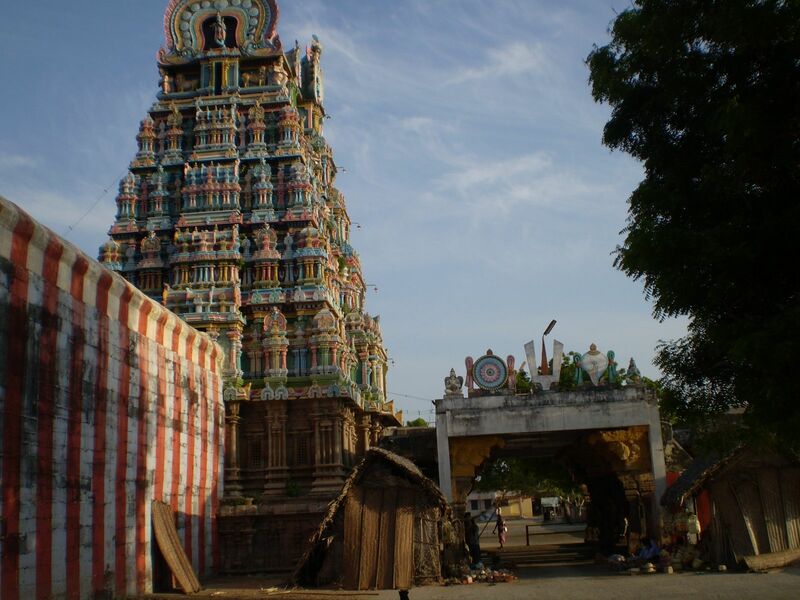 This includes the important temples of Srirangam and Triplicane. The Divya Desams are revered by the 12 Azhvars in the Divya Prabandha, a collection of 4,000 Tamil verses. Lord Shiva, the other major deity in Hinduism, is similarly associated with the Paadal Petra Sthalams, 275 Shiva temples which are praised in the Tevaram canon by the 63 Nayanars. 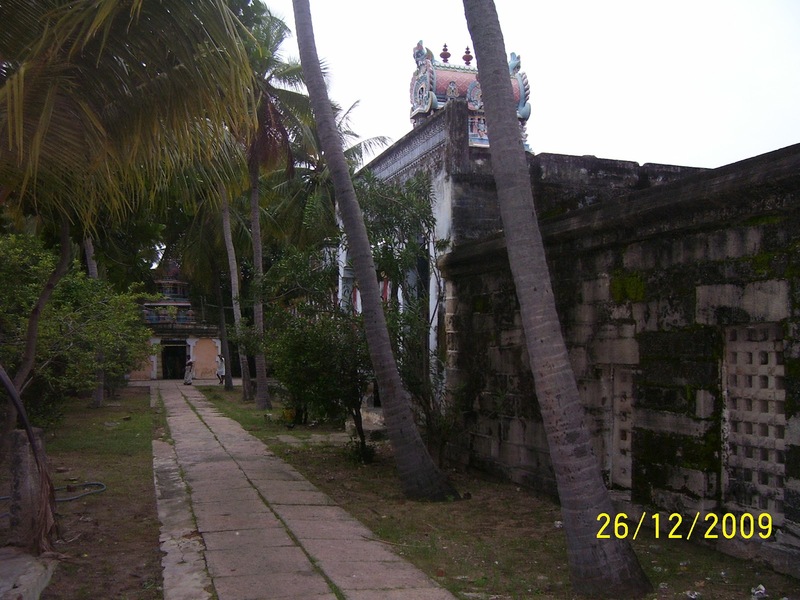 Two Temples at Thulai Villi Mangalam, referred to as Erettai Tirupathi, about 100 yards of each other on the Northern bank of Tamaraibarani make up one Divya Desam. 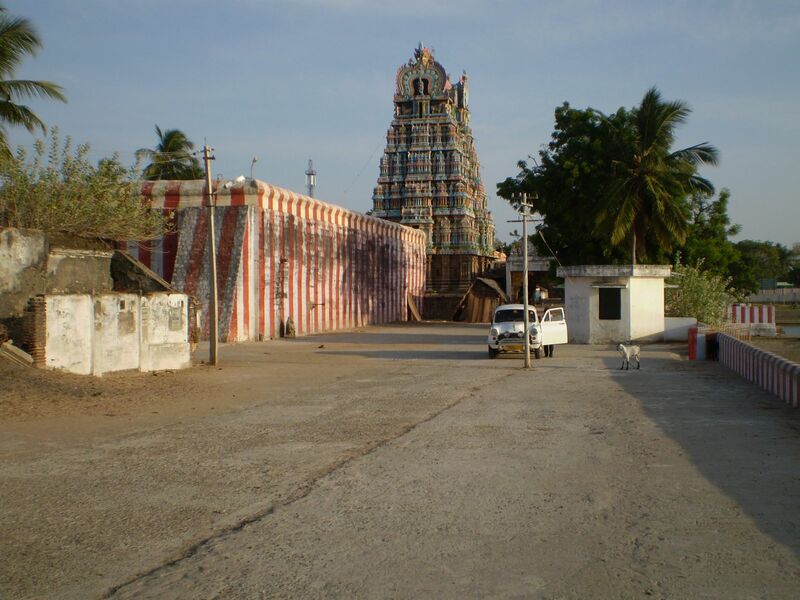 NamAzhvaar has sung 11 verses of praise on Devapiran and Aravinda Losana, the deities of the twin temples, located about 10kms East of SriVaikuntam. 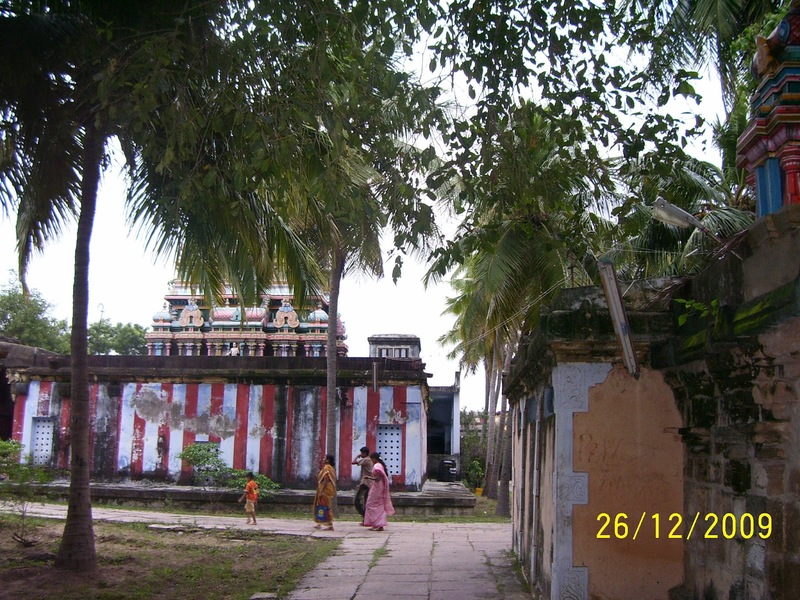 Thirupullani Sri Kalyana Jagannatha Perumal temple is situated in Ramanathapuram, 54 km away from Rameshwaram. This is one of the 108 Divya Desams of Lord Vishnu. 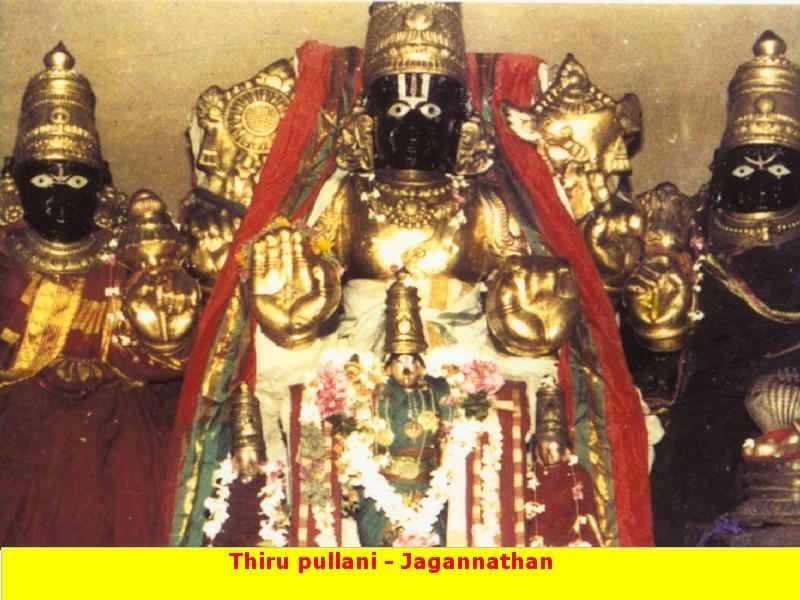 The presiding deity is Sri Jagannatha Perumal with consorts Sri Padmasini Thayar and Sri Kalyanavalli Thayar. This temple is also known as ‘Saranagathi Kshetram’. The legend has that: Sita Devi was abducted by the demon King Ravana and kept her as prisoner in Asoka Vatika. Vibhishana Dharmathma - brother of demon King Ravana made several attempts to change his brother’s evil mind from the atrocious act. The end result was Ravana threw Vibhishana out of his Kingdom. Finally, Vibhishana left Lanka and surrenderd at the Lotus feet of Lord Rama. Lord Rama came to know the heinous act of Ravana through King Vibhishana. Thus, this place is known as ‘Saranagathi Kshetram’. Lord Rama engaged in a serious discussions of ‘how to retrieve Sita Devi from the clutches of the demon King Ravana?’ with his warriors like Sugriva, Hanuman, Vibhishana and the entire army of Vanaras stayed in Thirupullani. Lord Rama underwent severe penance in reclining posture on the Dharba Grass (a bed made out of Dharba Grass - Dharbhasayana Ramar) and prayed to Lord Jagannatha Perumal, thus the place got its name ‘Thirupullani’. The most pleased Lord Jagannatha presented Lord Rama with a divine bow. 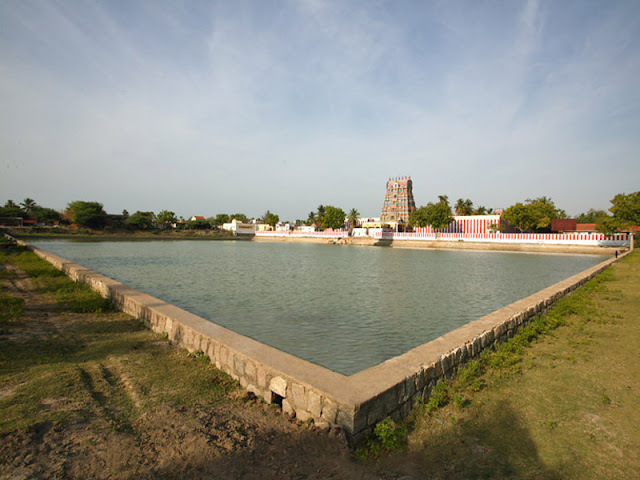 Thirupullani is the sacred place where Samudra Rajan with his wife Varuni surrendered to the Lotus feet of Lord Rama as ‘Saranagathi’. Sethu Samudram is situated near Thirupullani, in order to save Sita Devi from the demon king Ravana; they have to cross the vast ocean Sethu. Lord Rama prayed to Sethu Samudram to give way for their warriors. Samudra Rajan was not lenient; Lord Rama threatened him that He would make the entire water dried up. At this point of time, Samudra Rajan with his wife Varuni fell on the feet of the Lord and surrendered. As advised by Lord Varuna, Lord Rama appointed the monkey warriors Nalan and Neelan to construct bridge over Sethu Samudram. As these monkey warriors has got the special skill and blessings of making the stone to float, they successfully constructed a vast bridge over Sethu. Later, Lord Rama with his warriors attacked the demon King Ravana and released Sita Devi from his custody. Once again, Lord Rama visited Thirupullani after the fierce battle with the demon king Ravana. In this temple, Lord Rama is in reclining posture on Dharba Grass, with Adishesha as umbrella, Lord Brahma on a Lotus from His navel with sapthadevathas surrounded to Lord Rama. Utsavamurthy - Lord Rama, Sita Devi, and Lakshmana along with Hanuman also can be seen here. On the south situated Vibhishana sannidhi on the Ardha Mandapa. There is a Pattabhisheka Ramar Sannidhi, infront of Dharbasaya Ramar. In Pattabhisheka Ramar Sannidhi, Lord Rama can be seen in Pattabhisheka Thirukolam – crowned as King of Ayodhya with Sita Devi, Lakshmana, Bharatha and Shatrugnan. There is a Santhana Gopalaswamy Sannidhi, where King Dasaratha with his three wives was prayed to Lord Krishna for an offspring. Sannadhi of Sri Santhana Gopalaswamy is situated on the north of Dharbasayana Ramar Sannidhi, childess couple often pray here for virtous offsprings and also offer ‘Kheer’ (Milk Payasam) to Lord Krishna. On the west side of Moolavar Sannidhi, situated a Banyan tree with lots of Siva Lingas can be see here. Great Sages Pullavar, Kalavar and Kannar had undergone severe penance on this temple sitting on the Dharba Grass in this ‘Saranagathi Kshetram’ praying to Lord Vishnu. The most compassionate Lord appeared before them and gave dharshan as Adi Jagannatha to his devotees. The important festivals celebrated here are: Brammotsavam in March-April (Panguni); Sri Ramanavami in April-May (Chithirai), Vaikundha Ekadasi, Janmashtami, Pongal and Deepavali. The temple is open from 08:00 a.m. to 12:30 p.m. and from 03:30 p.m. to 08:00 p.m.
8Kms South East of Ramanathapuram, 60kms SouthWest of Rameswaram and about 120kms East of Madurai. Sethu SeaShore : About 4 kms South of Thirupullani Temple.